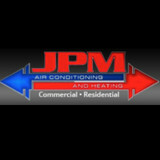 JPM Heating & Air Inc., locally owned and operated in San Diego, offers complete air conditioning, heating and ventilation services to businesses and homeowners throughout San Diego County. We are dedicated to providing you with superior service and the very finest heating and cooling systems, at a reasonable price. Our technicians can repair, service, and improve the performance of your residential or commercial HVAC system. We take pride in knowing that each and every one of our customers are completely satisfied the first time. Providing you with quality service is our passion and commitment. JPM is licensed by the California State Contractors License Board. We make sure to develop a lasting relationship so that the next time service is needed, there will be no question on who to call. Satisfaction is guaranteed! Contact us today for your free, no obligation quote on a new heating or cooling system! Comfort Air Zone Heating and Air Conditioning is a locally owned and family operated business. Our company has been servicing the entire community of more than 1000 happy customers since 1987. 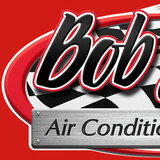 We offer a dependable and reliable cooling and heating system that our customers can count on. Our emergency repair, tune up and installation services provide lasting, quality results at the most competitive prices. Why Us: Lifetime Equipment size Professional workmanship Pre and post sales services Only upfront pricing Competitive prices Temperature performance Money back Call us today and let us help you reach the comfort you deserve! At Mauzy Heating, Air & Solar, we offer a wide variety of services to meet all of your solar, heating, ventilation and cooling needs. Our experienced team can tackle any HVAC services that you might have. Participating Contractor in HERO Financing Program. We offer both residential and commercial HVAC/ Solar panel services. We also have a wide array of indoor air quality options, including air scrubbers and purifiers, to address allergies, pet dander, tobacco or unwanted odors. We are a Family Owned and Operated Air Conditioning and Heating Contractor Trusted in San Diego Since 1977. We strive to consistently deliver the best service, quality and comfort to every home and family. Call us today for a free estimate on your next home comfort project! Airmakers heating and air conditioning specializes in San Diego heating and air conditioning installations and service. We’ve built our reputation on good service, quick installation and great pricing. Our technicians are among the best in the industry. That's why we are called the San Diego heating and air conditioning experts. For HVAC San Diego, call Airmakers today. The San Diego heating and air conditioning community is relatively small. We are respected amoing our peers as specialists because heating and air is all we do. Many contractors add plumbing, electrical, general contracting or even property management to their list of services, diluting their focus on the customer. San Diego heating and air is not only our business, it's our livelihood. Hire Airmakers for our top rate customer service and unmatched craftsmanship for San Diego heating and air conditioning. Heating & AC installation/replacement Experts! We are fully licensed Heating & Air-Conditioning Install/Replacement company. We specialize in installs/replacements of Heating & Air-Conditioning systems for single-family homes. Offering high quality work and competitive pricing in plumbing, heating & air conditioning and flood &restoration services, the Bill Howe Family of Companies is not only a company of success stories, but is one of San Diego's largest commercial and residential property service and repair companies. Services offered include: plumbing installations and repairs, drain cleaning and repair, sewer camera inspections, epoxy sewer lining, water filtration, backflow testing, slab leak location and repair, tankless and traditional water heater installation and repair, heating and air conditioning installation and repair, duct cleaning, and air purification. The company also offers services in water mitigation, mold removal, structural drying, carpet cleaning, and reconstruction. Bill Howe Plumbing, Heating & Air, Restoration & Flood Services is a San Diego based family-owned and operated company and strives to be the most reliable service company since its inception in 1980. Carini Heating, Air and Plumbing provides air conditioning, heating and plumbing sales, installation and service repair for both commercial and residential customers in San Diego County. We would like to give you a quick overview about our company: 1- We are the top-rated heating and air conditioning company in San Diego on Angie’s List, with over 300 Five Star reviews; and we’ve won the prestigious Angie’s List Super Service Award six years in a row. 2- We are a proud member of the Better Business Bureau, the San Diego Regional Chamber of Commerce, and have been the recipient of Customer Service Excellence and Best Family-owned Business awards by the Regional Chamber of Commerce and the San Diego Business Journal. 3- We are the top rated "Mitsubishi Diamond" dealer in all of Southern California, with more installations and technicians trained on Mitsubishi Mini Split products than any other HVAC contractor in California. 4. Carini's award winning plumbing division provides the most complete range of plumbing services available on all brands of plumbing products, from tankless water heaters by Noritz, Navien, Rinnai and Rheem; drain cleaning and video drain inspection services; faucet, toilet and shower repair; repipe ad pipe repairs; water pressure and sewer leak repair services. 4- We are one of the only Factory Authorized Dealers for Bryant Heating and Cooling Systems in San Diego. Bryant has been rated at the top of Consumer Reports for fewest repairs and is a division of Carrier Corporation, one of the largest heating and air conditioning companies in the world. 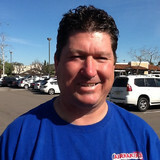 Plumbing, Cooling and Heating Services for the Greater San Diego Area (from Fallbrook to Point Loma) for over 20 years. Proudly serving the San Diego Community since 1969. We offer residential heating systems, residential central air conditioning systems, Solar systems, service for all makes, models, and systems with factory trained experts. We at Mauzy Heating & Air Conditioning believe in quality service and building success one customer at a time. We are San Diego's registered contractor for HERO Financing Program. Background-checked, Licensed and Certified Ductless Comfort Professionals. Generally, San Diego HVAC contractors or HVAC technicians work with or run companies that repair or install heating systems and air conditioning units for homes. But they have specialized services too. For example, if you are a wine collector and you are thinking of installing a wine cellar in your San Diego, CA home, you might hire a California HVAC professional who specializes in refrigeration work. HVAC professionals can use their skills to help you to save money on your San Diego, CA home’s energy bills by installing radiant barriers in your attic or split-zone heating and cooling systems to heat rooms like solariums while cooling upstairs bedrooms during warmer temperatures. Find HVAC contractors on Houzz. Look in the Professionals section of our website and search for California HVAC contractors. Read reviews and see how an HVAC contractor might approach your San Diego, CA home’s heating and cooling challenges.